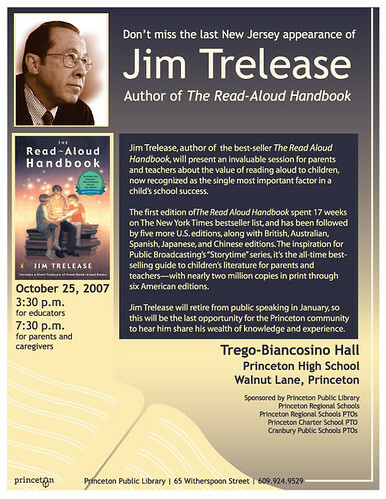 "January 2008 will be Jim Trelease's last month of public seminars. After that his only programs will be for teachers through the Bureau of Educationand Research (BER) and a few isolated librarian conferences. Why retirement? Four grandchildren and a wife who has waited 23 years for him to "come in off the road" to travel with her. (Jim suspects there is an oxymoron in there somewhere.)"